How Would You Look with Straight Teeth? Want to see what your smile will look like before you start your orthodontic treatment? Dr. Jacquie Smiles offers her patients in NYC with simulated orthodontics of your personal transformation right before your eyes. Preview your before and after images using Invisalign clear braces to help straighten your teeth, correct overbite/underbite, gaps or to simply improve your smile. Visualize how your teeth may look after Invisalign treatment with clear braces. Seeing the end result before you decide if Invisalign orthodontic treatment is right for you, can take the guesswork out of your decision and put you on the path to the smile you’ve always wanted. It’s Fast! – Your simulated smile with iTero® scan will take about 5-10 minutes. Schedule your No-Obligation Free Outcome Simulator consultation today. Please call 212-972-3522 or contact us today to receive additional information. Using iTero® imaging system that allows taking a digital impression of your teeth and mouth, will give a precise image of your entire teeth and gums, all without the traditional, old-school impressions molding trays that make you gag. iTero® digital scanner will help Dr. Jacquie Smiles get a complete scan of your teeth and provide you with a simulation of what your smile will look like after straightening your teeth with Invisalign clear braces. Experience the Outcome Simulator for Yourself! 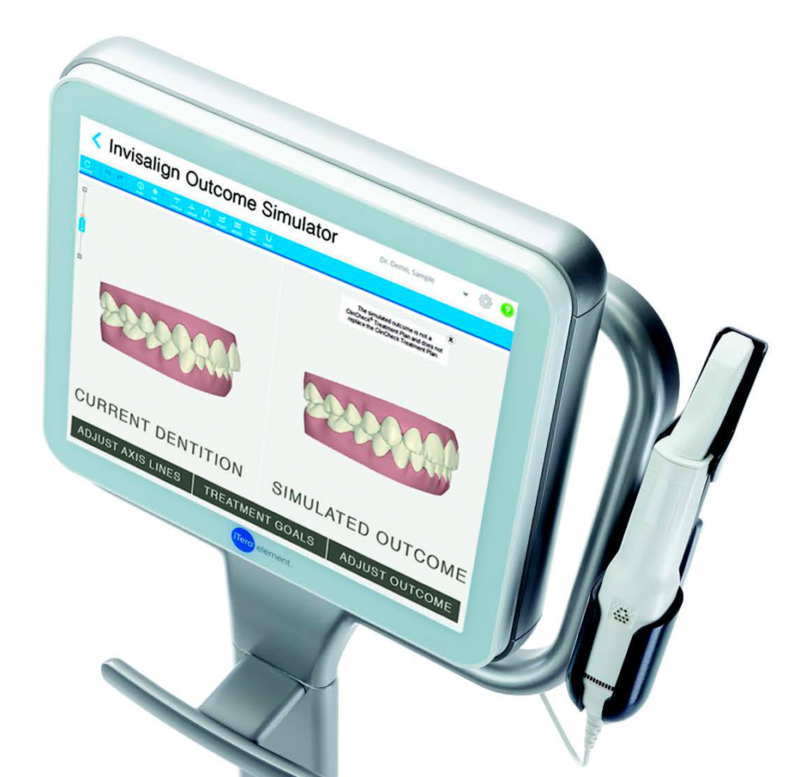 With our Outcome Simulator, you will be able to preview your smile after your orthodontic treatment with Invisalign clear braces. You will be able to see the movements your teeth and side-by-side comparisons of your current smile and your simulated smile. Dr. Jacquie Smiles will provide you with your smile simulation during your first Free consultation at her NYC dental office, so you can make an informed decision about your treatment without any commitments. Your orthodontic smile simulation will be available within minutes and is yours to keep. Preview before and after images. Schedule your no-obligation Invisalign outcome simulator in NYC with Dr. Jacquie Smiles. 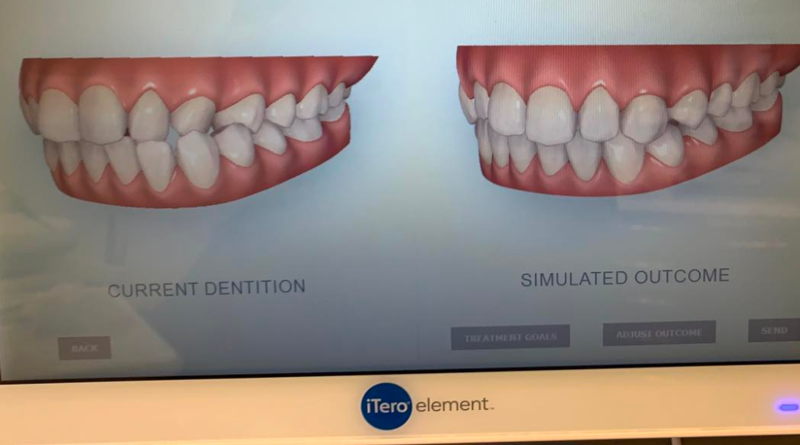 The Outcome Simulator allows us to show you exactly how your smile will look, answer all of your questions, and give an accurate preview of what you can expect your smile to look like after your Invisalign treatment. Contact us today to schedule your appointment. You may also call Dr. Jacquie Smiles at 212-972-3522. Our office is conveniently located near 30 East 40th Street Park Avenue, New York, NY 10016.